Incorporating 20 years of product experience and customer feedback in the design and development of the SCADALink RIO900 Platform has resulted in the RIO900 becoming the most rugged, reliable, flexible, and easy to use product in the market. Kudos to the SCADALink Development and Support team members. Thank you to our customers for their invaluable feedback. The Modular RIO900 Platform is single product that is used on I/O Telemetry and SCADA Applications formerly served by the SCADALink SR900, IO900, and SMX900,900MB Products. The RIO900 Platform for proven to be flexibility for Uni-directional, Bi-Directional I/O Telemetry; as well as for SCADA Communications Applications. Secure Plug and Play – RIO900 comes pre-configured with unique and secure RF parameters to operate securely without interference. For I/O Telemetry Operation, RIO900 Systems are pre-configured and tested. 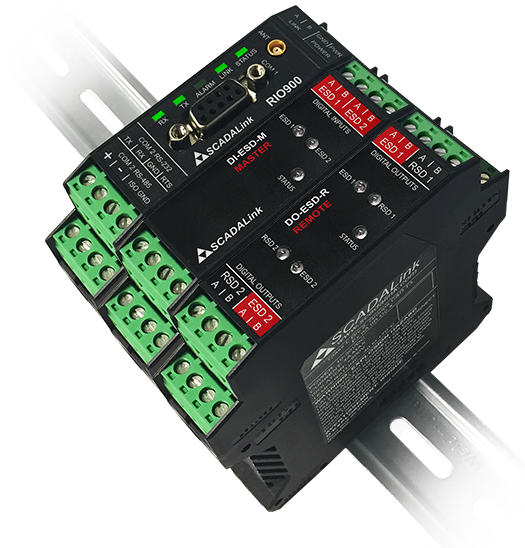 Easy to Use – Isolated Analog and digital I/O ensures that integrating in control systems with existing PLC, RTU without ground loops and ground conflicts. The RIO I/O is clearly labeled with wiring diagrams printed on the product labeling. On-Board Diagnostics – The RIO900 Status LED including RF Signal Strength and I/O status help enable field service and maintenance without the use of laptop and meters. Modular – RIO900 Systems are modular can be expanded easily. Modularity allows for the ability to spare with minimum sparing qty in larger systems. Specialized modules allow more fit for purpose operation. As an example, for ESD systems, ESD Modules provide simplified wiring for ESD system deployment; and fail safe operation. Compatibility – the RIO900 uses the same reliable MCX RF connectors used in the SR900, IO900, and SMX900, and 900 MB. 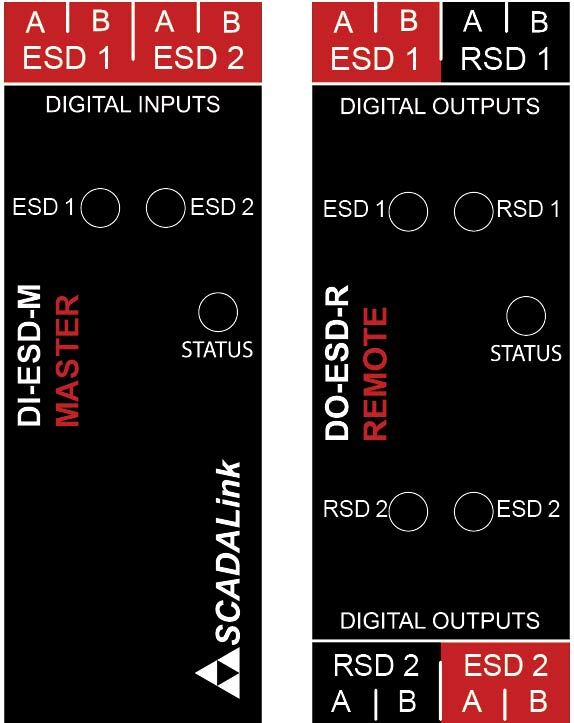 SCADALink IO Modules for IO900 and SMX900 are supported by the RIO900. Existing systems using IO900 and SMX900 can the upgraded to RIO900 without change or IO rewiring. Flexible – The RIO900 designed with simple operation in mind; comng pre-configured for default I/O Telemetry; it has flexibility to be integrated in SCADA applications using intuitive GUI configuration software.